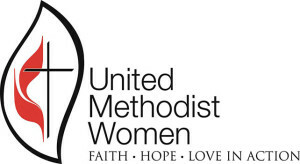 United Methodist Women is a faith-based membership organization of laywomen within The United Methodist Church. We are organized for mission and our members are committed to growingas disciples of Jesus Christ in community with other women and building the lives of women, children and youth. United Methodist Women has been in mission for more than 140 years. About our volunteers: EVERYONE who gives their time and energy to the Boutique is a volunteer – no one receives any monetary compensation for their efforts. That is not to say there aren’t rewards. The satisfaction of helping people in our community is gratifying. There is also the value of meeting and laboring with many wonderful people who are Christ-followers but also become our friends. During a typical year, we have over 100 people who volunteer at the Boutique – some are year-round and others are seasonal. Some are members of our church; others are not members. Both men and women spend time with us each week. Many of our volunteers are retired but others are students or employed persons who give time as their schedules permit. What jobs do volunteers perform at the Boutique: The Boutique is open six days per week and there are two “shifts” per day: Shift 1 is 10:00 a.m. to 1:00 p.m.; Shift 2 is 1:00 p.m. to 4:00 p.m. The Boutique is closed all Sundays and holidays. Most volunteers commit to one or more of the 12 shifts per week. Others elect to be on a sub call list and only work when a regular shift worker is unavailable. Receiving & Furniture: Accept, organize and deliver donations to the pricing room or furniture store. Pricers: Working behind the scenes of the shop, pricers evaluate items, hang clothing, and price items to be placed in the Boutique for sale. Guidelines have been established and training is provided. Floor Workers: Take priced items into the shop and place them in their designated space. Assist customers and the cashier with any needs that may arise. Maintain the overall appearance of the shop space. Remove items that have “dated out”, become damaged or out of season. Training is provided. Cashiers (must be members of CCUMC): After a comprehensive training, cashiers handle all cash and credit card transactions of the Boutique. How Can I get involved: Stop in the Boutique and tell the cashier you are interested in becoming a volunteer. She will introduce you to the Manager who will provide you with an application.